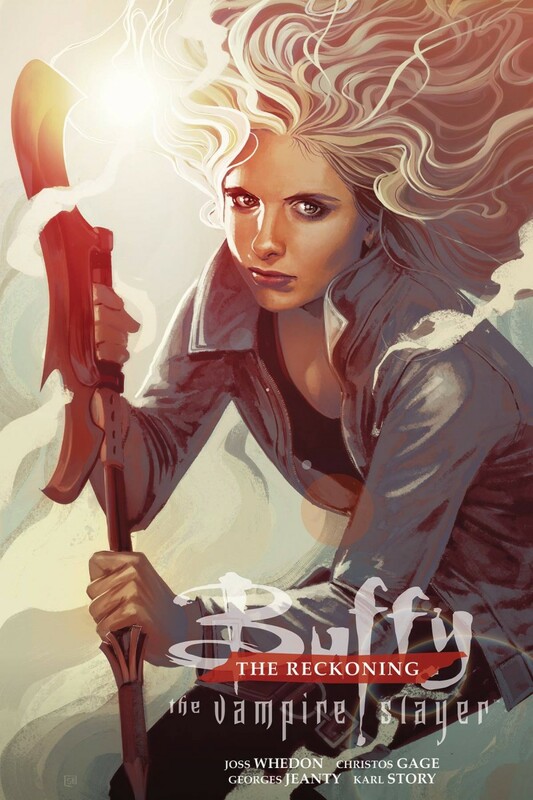 Collects BUFFY THE VAMPIRE SLAYER SEASON 12 THE RECKONING #1-4. Angel brings news of an amassing evil force-Wolfram & Hart, a legion of demons, and Harth, vampire from the future-to Buffy and her crew. Realizing this fight will be more than they can handle alone, the gang travels to the future to recruit the Slayer, Fray-Harth’s twin sister-and learn of their dismal fate should they fail in the ultimate battle with Harth and his legion. He is after the power of the Slayers . . . this is the reckoning . . . and it could be the end of Buffy, Fray, and all the Slayers, forever.